The no-confidence motion in the Lok Sabha on July 20, 2018, could not have come at a worse time for the ruling AIADMK in Tamil Nadu. The AIADMK had taken a stand against the NDA government at the Centre on recent issues like UGC, NEET for Siddha, Cauvery etc., to dispel the impression that it was a blind supporter or an ally of the BJP-led NDA. The AIADMK which wanted to abstain from voting has been cornered into accepting BJP National President Amit Shah’s request to oppose the motion. Recent trends indicated that the AIADMK did not want to be seen as an ally of the BJP to improve its image. A series of statements on various issues showed that the AIADMK Government wanted to distance itself from the BJP. Therefore, a decision seemed to have been taken two days ago that the party will abstain from voting and therefore maintain its distance from the BJP. However, when Amit Shah called up O Panneerselvam and sought the support of the AIADMK (since the BJP wanted to show that it had huge support in the Lok Sabha), it was difficult for OPS to turn him down. 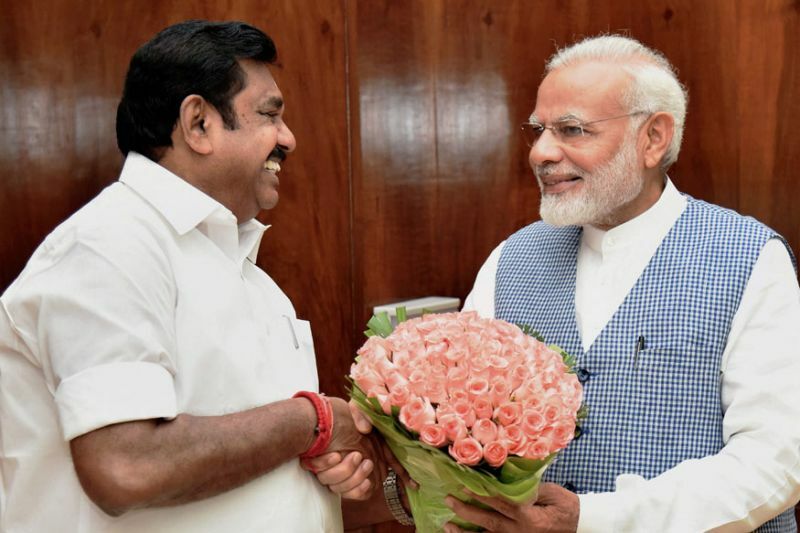 Thereafter, he must have discussed the Amit Shah request with Chief Minister Edappadi Palaniswami, and the AIADMK top leadership (read OPS and EPS) decided to support the government. The decision by the AIADMK top leadership has not gone down well with a section of the party. It appears that the Deputy Speaker M Thambidurai was in favour of abstention and that the party should not give the impression that it was an ally of the BJP. On several instances, Thambidurai has articulated the position that there was Government to Government co-operation between the NDA government at the Centre and the AIADMK government in the State, which he said was essential for development of the State. Even then, Thambidurai has said that on issues concerning Tamil Nadu, the State government had voiced its differences with the Centre as a party which is duty bound to protect the interests of the State. Therefore, it appears that Thambidurai is upset with the decision of the leadership now to support the NDA government at the Centre during the no-confidence motion, since it would position the AIADMK as an ally of the BJP. This was something the AIADMK had avoided right after the formation of the NDA government at the Centre. Jayalalithaa herself ensured that the AIADMK should not be seen as an ally of the BJP even while maintaining good relations with the Centre. It was just a few days ago that Amit Shah, during his visit to Chennai, spoke of massive corruption in Tamil Nadu which was seen as an indictment of the AIADMK government. This provoked bitter retorts from AIADMK leaders. To now accept Shah’s request and bail out the BJP is a bitter pill for the AIADMK to swallow.